Our 4th graders drew as they listened to Neil Gaiman’s retelling of “Hansel and Gretel.” I encouraged them to use a lot of black ink like Mattotti, but their expressiveness lies where it lies…..enjoy! 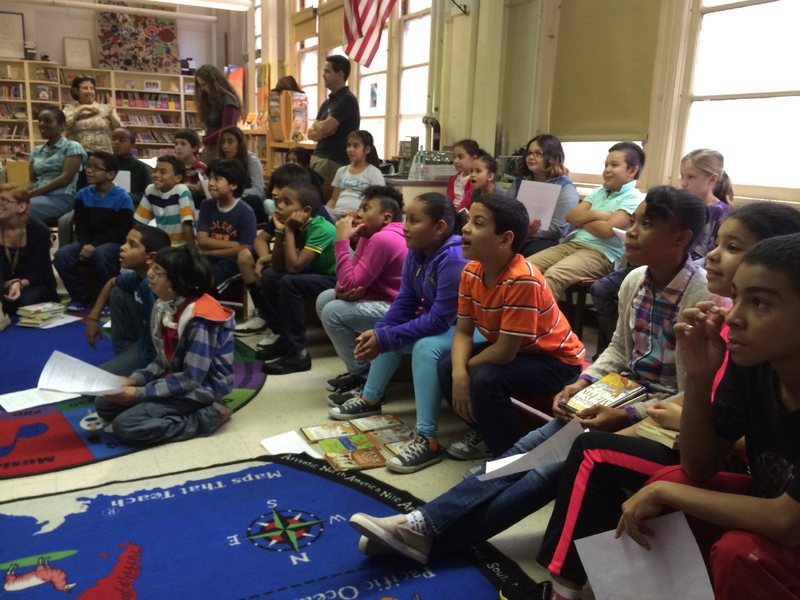 The 4th and 5th grade are big Roald Dahl fans thanks to the fun read alouds last year. Penguin invited us to visit the Roald Dahl Museum just north of London. We learned that when Roald Dahl was a kid, candy companies would come to his school and have the kids taste-test new flavors. This made him feel very important, and inspired him to write Charlie & The Chocolate Factory! He ate chocolate so much that he lost his teeth. Every one of them. They are in the museum! As well as chocolate doors that SMELL like chocolate….mmmm….